Our first date. It wasn’t really a date. It was mutually agreed beforehand that it was not a date. Clearly. At least that is how I remember it. It was just a night out to see a movie. In a faraway land, that I knew not. Smallest state in the United States. He drove. I have no recollection of what I wore, or what he drove. Or what I was thinking, initially. Except, this is not a date. 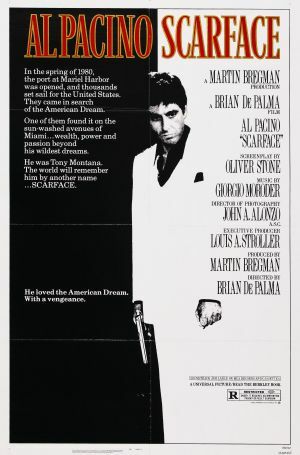 We started our “un-date” with a movie which was just released called Scarface, I don’t remember much except that it was gross, bloody, violent and scary. It definitely made me think twice about moving to Florida, at least in the eighties. Of course, that movie went on to it’s own history and fame. What I do remember is He drove and we got lost. In Westerly, Rhode Island. A place neither of us was very familiar with at all, at the time, being small time Rhode-Islanders and all. You think it’s easy living in the smallest state in the United States? There are pockets of RI that I swear are not even on the map. However, I feel pretty safe relatively speaking when I consider states such as Texas, Maine and California. But still when you are lost, you’re lost and everything seems foreign and you just want a familiar highway, or at least a sign. A landmark. In Rhode Island we live by landmarks. If you can’t give a proper geographical landmark in Little Rhody, you are not a true Rhode Islander. Course if you are not native to RI, the landmarks are meaningless, but that is a story for another day…Remember this is before the days of GPS, Google and Yahoo Maps! Guess who asked for directions? Oh, wait let’s back up…guess who drove endlessly until I finally pulled rank and asked him to pull into the only place we could find a human being to ask for directions at the late hour. It was a creepy motel type place, which was not unlike a certain Norman Bates motel. It had a long driveway leading up a hill and it sat low to the ground with one light in the main office. Frightening. Boy was he in trouble when he finally got back home to Johnston! He broke curfew. And that friends, was the first of many car-rides together. It was also one of many rides together to many places. He mostly still refuses to ask for directions…until I finally pull rank. Or we run out of gas. That’s my story and I’m sticking to it. It’s all I remember. Next installment will be His Version. When I asked what he remembered, it was a bit different flavor than my own version. Hmm…sounds like a she said, he said mystery. For now perhaps you will enjoy our Cemetery Visit story from the Summer. I love this! Must haver been some charmer to have a second “date” after that night! Looking forward to his version, should be interesting! When it is dark you can get lost so easily, even in RI.